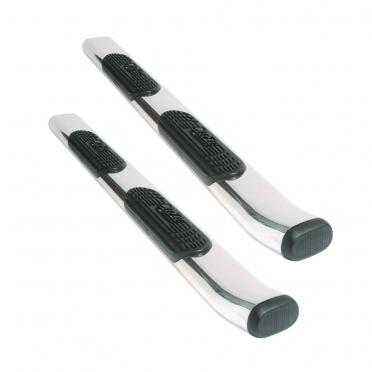 Dee Zee - A tubular side step for your vehicle. Constructed of aluminum with a chrome finish. 5" oval design provides the maximum stepping surface. Molded plastic step pads provide non-skid stepping areas. Hidden but sturdy bracing and hardware is coated to help prevent rust and keep your tubes strong. Custom Fit - some drilling may be required.